Get two organizers for the price of one! Whether you're tired of the clutter or just need to find a place for everything, let us help you get your life back on track and take the worry out of getting your home or office organized. We pride ourselves on providing customers with high-quality work and personal service for a price most everyone can afford. Remember, the cost of getting organized is finite, but the cost of staying disorganized is infinite! 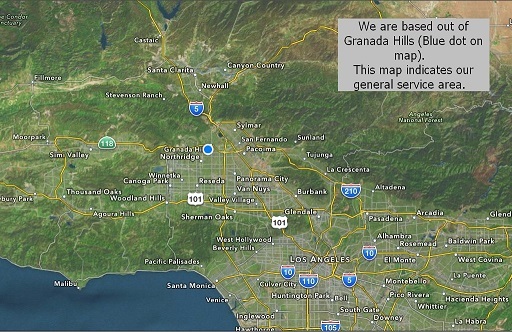 Click on the map to see our general service area. 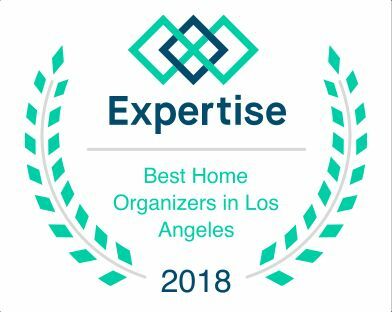 We have been recognized as one of the top 20 organizers in Los Angeles for the 2nd straight year! Click on the picture to see their site.